I remember the subregion tournament my senior year in high school. There were four seconds left on the clock and we were down by three points. We huddled around the bench as coach drew up the play: inbound the ball to Leonard; attack the right lane; pass the ball to Josh for the final shot. It was a dream scenario. When Christian Laettner hit a turn-around jumper to help Duke defeat Kentucky in the 1992 NCAA tournament, I was watching. I went outside, heart pumping adrenaline, and repeated his shot for hours. I had prepared for this moment since I started dribbling as a pre-schooler. If I made the shot, our team could continue through the post-season. The year before, we went all the way to State on the play of our 7 seniors. But they were gone now and the team relied on me. A long run in the tournament might catch the attention of some bigger schools and my real dream could come true—to play basketball on a Division I team. We lined up for the inbounds. The ball came to Leonard and I ran to my favorite spot on the 3-point line. He drove to the right and my defender left me to help. I was wide open, hands extended for the ball. But the ball never came. Leonard continued driving to the basket and tried a running jumper. He missed and time expired. The game was over and so was my basketball career. “Disappointed” is not a strong enough word to describe what I felt. Crushed. Dejected. Deflated. 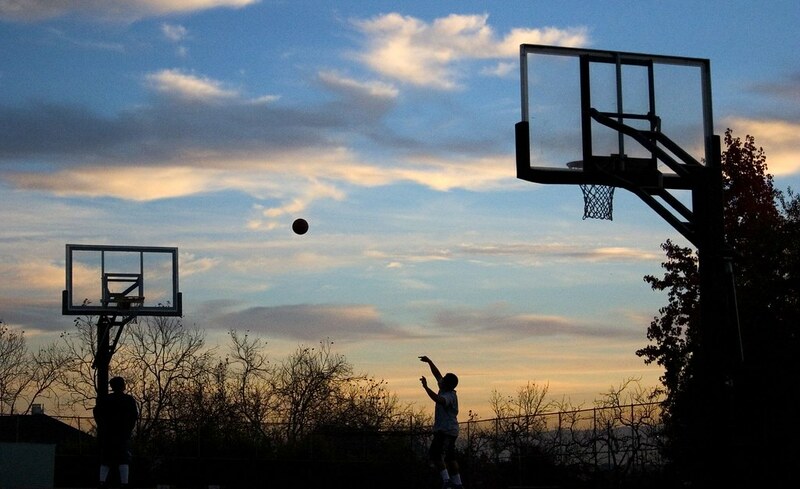 There I was, empty-handed, on the three-point line—no ball and no dream. I cried that night. Like a baby. I cried because my decade-long dream was dead. Dreaming comes naturally to most. You don’t have to teach a child to do it. When I grow up, I want to be a knight. When I grow up, I want to be president. When I grow up, I want to be an NBA star. Children dream because they are hard-wired with imagination. Anything is possible because everything lies in that magical land called “the future.” In the future you can be whomever, go wherever, and do whatever you want. Yet, a quick survey of adults will show that in “the future” many of us stop dreaming. Why? It is painful to attend the funeral of your dream. You eulogize what could of been. You mourn its passing. But as the casket lowers and the dirt falls, a little bit of you falls with it. A dream gives you hope for a better future. When it dies, you wonder if there is any reason to go on. And the bigger the dream, the greater the pain when it fails. Just ask the parent whose child rebels or the author whose tome is rejected or the entrepreneur whose company folds. When reality murderers our dream, the pain is excruciating. We think: I should never have dreamed at all. Looking back on the evening my hoop dreams died, I still feel sad. But I have moved on. One the other side of mourning, I found a new dream. Instead of playing basketball in college, I went to Georgia Tech on an academic scholarship. During an orientation fair, I met a group of students determined to change the world. Because of that organization, I have traveled the world, met thousands of people, and have a wonderful job today. A new dream was born. Did I like the pain of a dream lost? Of course not. Do I fear failure? Yes. Do I stop dreaming? No way. Like the oak tree shedding it’s green in preparation for new life, we must let our dreams die to experience the hopefulness of spring. (tweet that?) Weep. Wail. Mourn the darkness that follows the setting sun. Then turn to the east and wait. The sun will rise again. What dreams have you buried? What are you dreaming of today? Let me know in the comments.